Dutch former player Rafael Van der Vaart, granted an interview ahead of Real Madrid’s match vs Ajax and stated that Isco is the best in the world. The situation between Isco and Real Madrid has reached a boiling point that Rafael Van der Vaart doesn’t seem to understand, the Dutch former Los Blancos’ player hates the idea of not having the Spaniard starting in every single match for the Spanish giants. In his eyes, Isco is the best player in the world and he won’t watch Real Madrid whenever he doesn’t start a match. The reality is that the Spanish midfielder is arguably one of the most talented players that the club has, but he is also one of the most wasted talents of recent memory for any club. Since he started his career at Real Madrid, Alarcon has never reached that level of performance that people expected from him and he never really claimed the starring role that describes his true potential. Instead of fighting to silence his critics, Isco has opted to live his life in a more relaxed manner with the certainty of being part of a club that always wins trophies. But he has never really been that key player that Van der Vaart speaks of, maybe this interview could be a call for action for Isco once he gets to read it. Maybe the Dutch player himself sees a little bit of him in the Spaniard. During an extended interview with Marca, Rafa spoke about his time as a Real Madrid player and the legends that he played with during his time. “I played with some of the best players in the world: Ramos, Guti, Raul, Ronaldo, Kaka, Benzema… It’s a very special thing,” said Rafa during the interview. “Every time I watch Real Madrid, I check if he is going to start the game or not. If he doesn’t start, then I go back home and prefer to not watch it,” he concluded. Van der Vaart’s assessment of Isco is arguably a little out of proportion, this player may be very talented but he is quite far from being considered the best player in the world by anybody else apart from the Dutch former midfielder. As things stand right now for the Spaniard, leaving Real Madrid is a major possibility for him by the end of the season. 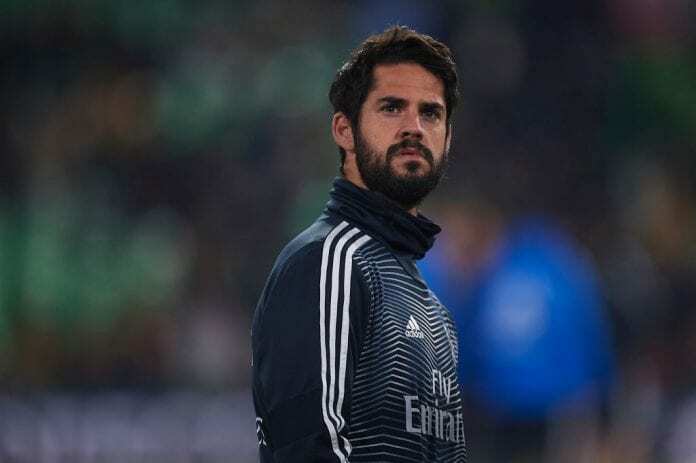 The whole problem with Isco right now is that he clearly has an unresolved personal issue with manager Santiago Solari, this is pretty obvious despite the Argentine’s latest comments denying such problems with the midfielder. If there wasn’t anything personal between the two, Isco would’ve at least stared the Copa del Rey match against Leganes last week. The coach has another chance to prove that such a problem doesn’t exist, it will be this Wednesday when Los Blancos play the second leg against Leganes at Butarque. The problem here is that given how bad the situation appears between Isco and the manager, everything points to Brahim Diaz starting his first match and Alarcon staying on the bench. Do you agree with Van der Vaart, is Isco the best player in the world? Please share your opinion in the comment section down below.